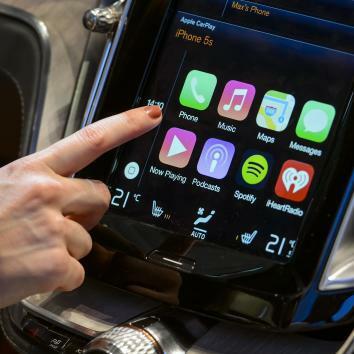 Google Android Auto, Apple CarPlay: Tech companies want to take over your car. Google Wants to Turn Your Car Into a Computer. Who’s Going to Stop It? 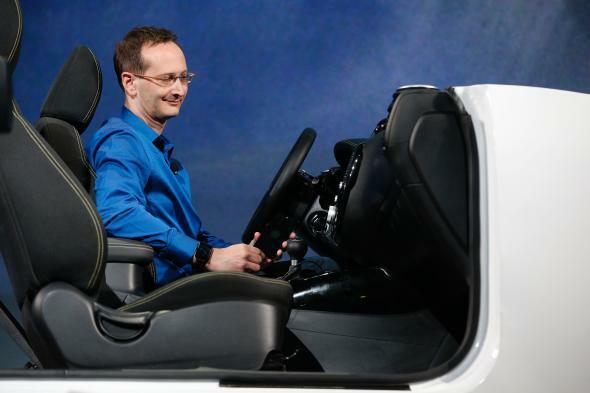 A presenter demonstrates Android Auto on stage at the Google I/O Developers Conference. Google is building an Android operating system for cars, Reuters reported this week, citing anonymous sources. According to the report, the company plans to introduce the car-compatible software as part of its next Android release, expected late next year or early in 2016. If that’s true, it would be a major milestone in the race to turn your car into yet another mobile computing platform. Google and Apple, among others, are already competing on products that allow you to control your smartphone via the screens built into the dashboards of many new cars. These systems, known as Android Auto and CarPlay, respectively, require you to connect your phone to the dashboard via a charging cable. Your dashboard screen then lights up with options to make a call, send a text message, get maps and directions, or play music, all of which is accomplished via your phone. The rumored Google project would essentially cut out the middleman. You’d just turn your car on and the screen in your dashboard would automatically load a version of the Android operating system. You’d control it via the touchscreen or voice commands. From the driver’s perspective, it makes a lot of sense for your car’s operating system to mirror that of your phone and tablet. It sounds great to the tech companies, too. Building user-friendly mobile operating systems is something they’re already quite good at. There is, however, one group of stakeholders that might well balk at handing over the dashboard to Silicon Valley. That’s the car companies. For decades they’ve succeeded in controlling just about every aspect of your driving experience. They build the drivetrain, the body, the interior furniture, and the dashboard controls, and they even maintain the car for you after you’ve bought it. Sure, they contract with other companies to build components, but with few exceptions, they retain control over the specifications and branding. In the future, however, mobile computing is likely to become essential to the driving experience. Self-driving features will rely on navigation software; you’ll stream music from the Internet; you’ll reply to emails on your commute via voice controls. Companies like Google would love to provide the software that handles all of that, because in turn they’ll be gathering all sorts of valuable data on you. If that happens, however, the car companies risk losing control over an important and potentially lucrative aspect of their products. They’ll still build the hardware, but the software will be out of their hands. On the other hand, the car companies don’t necessarily have the resources or expertise to build software that can compete with that of Apple and Google. So if Hyundai is offering full iOS and Android integration in its new models—and, by the way, it appears to be on that path—then the likes of Mitsubishi and Kia are going to have a hard time holding out.